I love a classic red lip and more so if it comes on a budget. 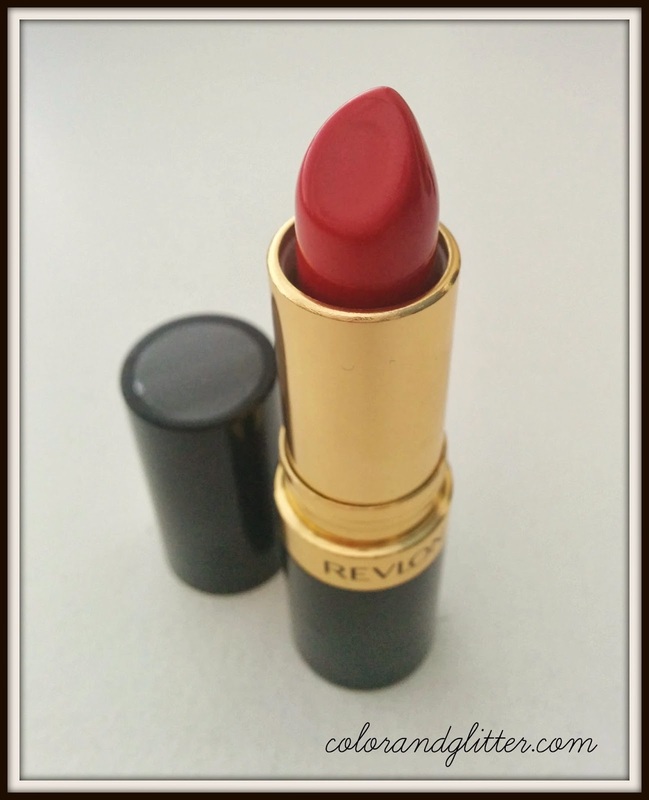 So today I will be reviewing Revlon Super Lustrous Lipstick in Cherry Blossom which is a beautiful cherry red color. Lets take a minute and admire the packaging before we move on. 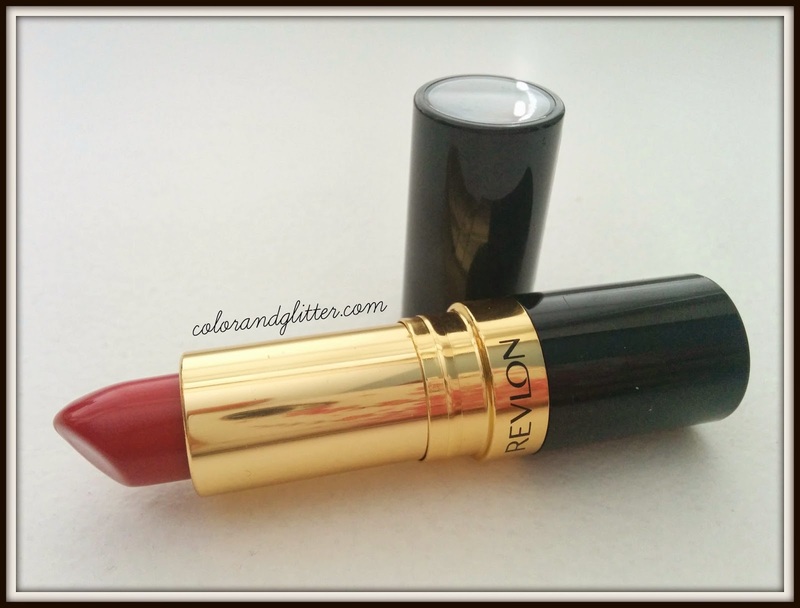 It comes in a black and gold packing which has been a signature Revlon packaging for a long time now. I love this classic packing as it looks and feels high end. Also I love that the cap has a see through top which makes it easier to identify the color without even opening the lipstick itself. 82 SHADES in 4 FABULOUS FINISHES Infused with mega-moisturizers to seal in color and softness. Find your lip color amongst a dazzling array of 82 shade in 4 fabulous finishes of Matte, Pearl, Crème and Shine. I agree with all the claims made by the brand here! Out of the 4 finishes mentioned above, this particular color belongs to the Pearl family. When I first swatched this lipstick on my arm, the first thing that came to my mind was "blue tone". I think blue undertones go very well with red lip colors. This lipstick has very prominent blue undertones that I think will really compliment people with medium skin color with warm/olive undertones. The blue undertone is not apparent in the tube, but on the skin it definitely shows up. My lips are very dry and are darkly pigmented. 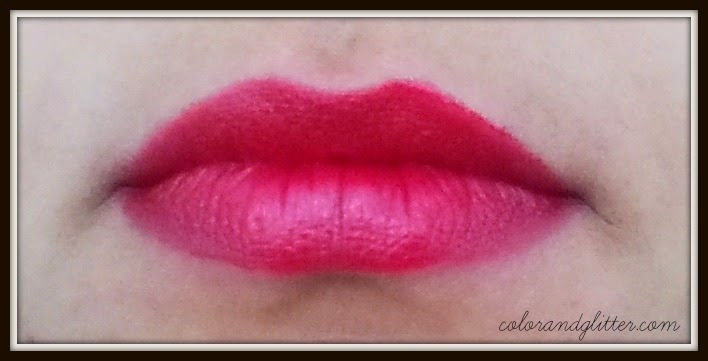 So when I look for a lip product, I look for opaque formulas. 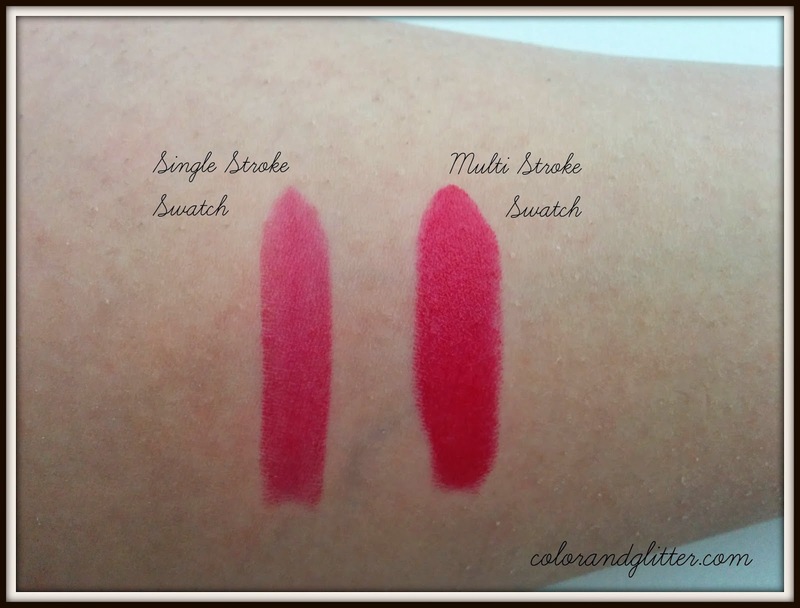 This lipstick is highly pigmented formula, which applies very smoothly on my dry lips. It does not enhance the dry texture of my lips which I really appreciate. It is hydrating enough that it does not dry out on the lips but at the same time it is not too creamy that it would bleed out of the lips lines. 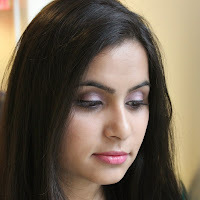 It does not have any shimmer but still manages to give a beautiful shine on the lips. Now lets talk about a few downsides of this product. Since this is a lipstick, it is a little high maintenance. I would recommend using a lip liner or a lip brush to perfect the edges as its intense pigmentation can be a little unforgiving. It does transfer easily. Also it does not stain the lips much. So most likely, it will not last through a meal but should hold up through light snacking. To be fair, it does not claim to be a long wear lipstick, so I don't mind its average staying ! 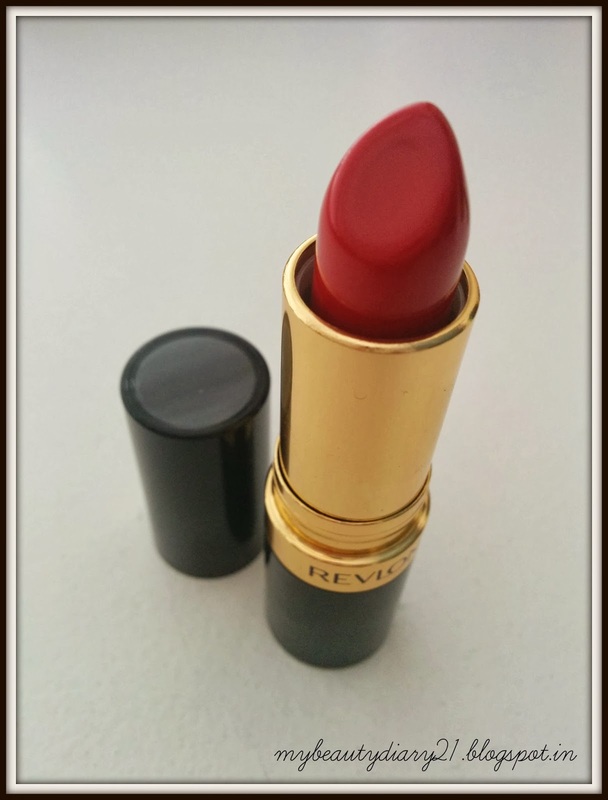 So in a nut shell, if you don't mind reapplying it, it is a good affordable red lipstick. For the price and the quality, I totally recommend this product!